The monkey has orange fur. The parrot has red feathers. they both live in the jungle. 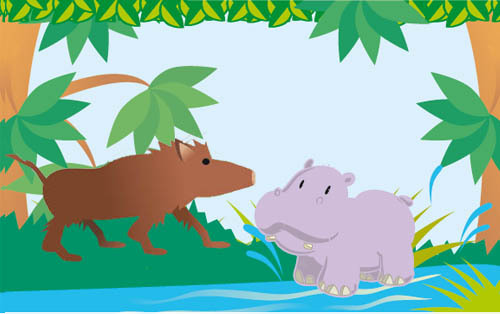 ...they both live in the jungle. The lion has a furry, yellow mane. The tiger has black stripes on his fur. 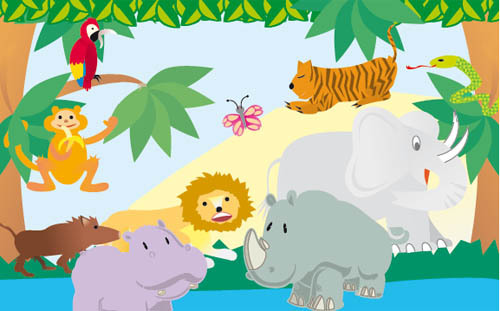 The elephant has a grey hide. 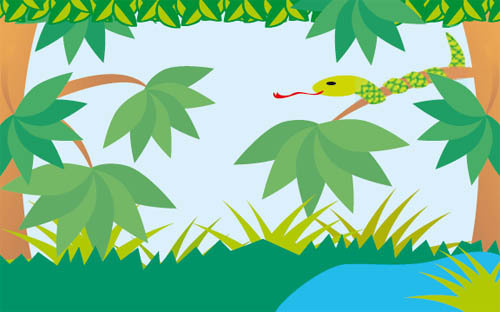 The snake has green scales. 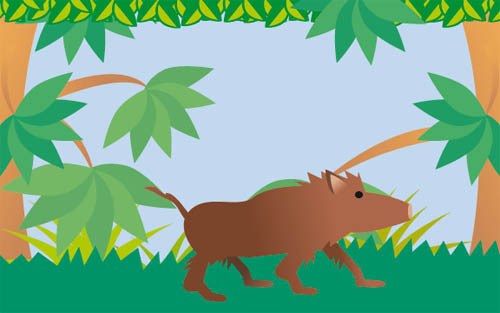 The boar has brown fur. 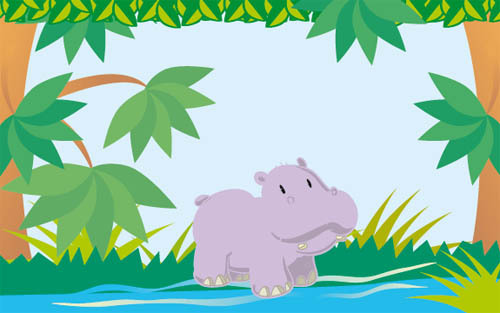 The hippopotamus has a grey hide. 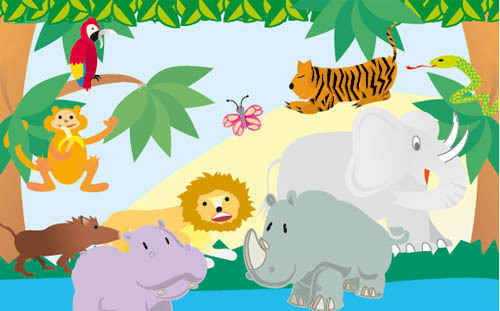 This book is an adaptation of "Who Lives in the Jungle?" 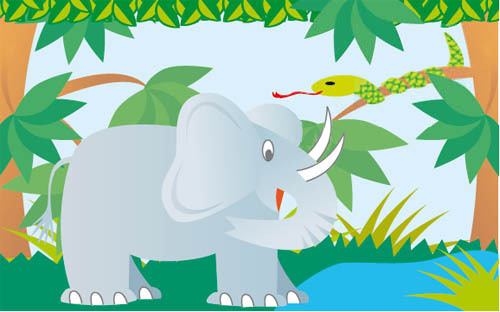 Clipart.com: Parrot (bird, colorful, macaw); Monkey (primate, ape, monkey); Elephant hide (elephant, hide, skin); Jungle waterfall (jungle, tropics, rainforest); Lion mane (lion, cat, mane); Snake (snake, scales, reptile); Boar (boar, warthog); Butterfly (butterfly, blue); Snake (snake, green); Tiger stripes (tiger, stripes, fur) Rhinoceros horn (rhino, rhinoceros, horns); Goat with horns (goat, horns, livestock); Cows with horns (cows, horns, livestock); Mountain Goat (mountain, goat, horns); Sheep (sheep, horns, wildlife); Giraffe (giraffe) @2009 Jupiterimages Corporation all rights reserved.